In 2001 I reached the last 16 of the World 9-Ball Championship in Cardiff, beating Steve Davis, along the way. I currently live in Keighley, England, although I used tour worldwide to pursue my 9-ball pool career. In October 2010 I won my first European 9-Ball event – the Portugal Open. On June 12, 2011 I was crowned China Open champion and received $40,000. This was my first major 9-Ball Pool tournament victory. In December 2011 I participated in the 18th annual Mosconi Cup, and won 4 of my 6 matches. A year later he won the Most Valuable Player Award in the same event. In January 2013 I reached the final of the Chinese 8-Ball Masters, losing to Gareth Potts. He also lost to Potts in the final of the 2005 World Rules 8-Ball Championship. Also in 2013 I reached the quarter finals of the World 9-Ball Championship, the World Masters, World Cup of Pool and finished 5th in the US Open 9-Ball Championship. 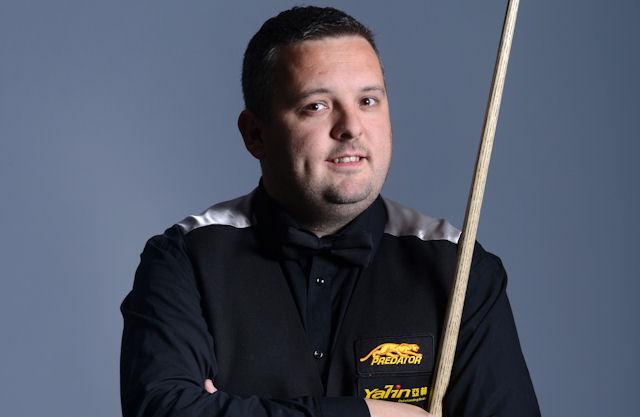 In May 2014, I entered snooker Q School in an attempt to regain my professional status and defeated the likes of former professionals Daniel Wells and Chen Zhe 4–3 and 4–1 respectively, before winning my quarter-final match against Duane Jones 4–3 to earn a two-year tour card for the 2014/2015 and 2015/2016 seasons. This saw me become the first person to have been a professional in 8-Ball Pool, 9-Ball Pool and Snooker at the same time. My first match as a professional saw me beat 2003 UK Championship winner Matthew Stevens 5–4 to qualify for the 2014 Wuxi Classic, but I lost 5–1 to Zhao Xintong in the first round. I also played in the first round of the International Championship by defeating Luca Brecel 6–5 and was knocked out 6–1 by Zhou Yuelong. My first victory at the venue stage of a ranking event came at the Welsh Open after I edged out Nigel Bond 4–3, before being whitewashed 4–0 by home favourite Michael White in the second round. Between Snooker tournaments I often take part in 8 ball pool events and in October of 2015 I entered the Catalonia Pool Festival and won the £125 a man event which was the first time I played pool since I won the Morley Masters (owned by Mick Hill) earlier in the year. To date I am pursuing my snooker career and practising 8 hours per day and the benefits of putting in the work will surely reap the rewards in the future.